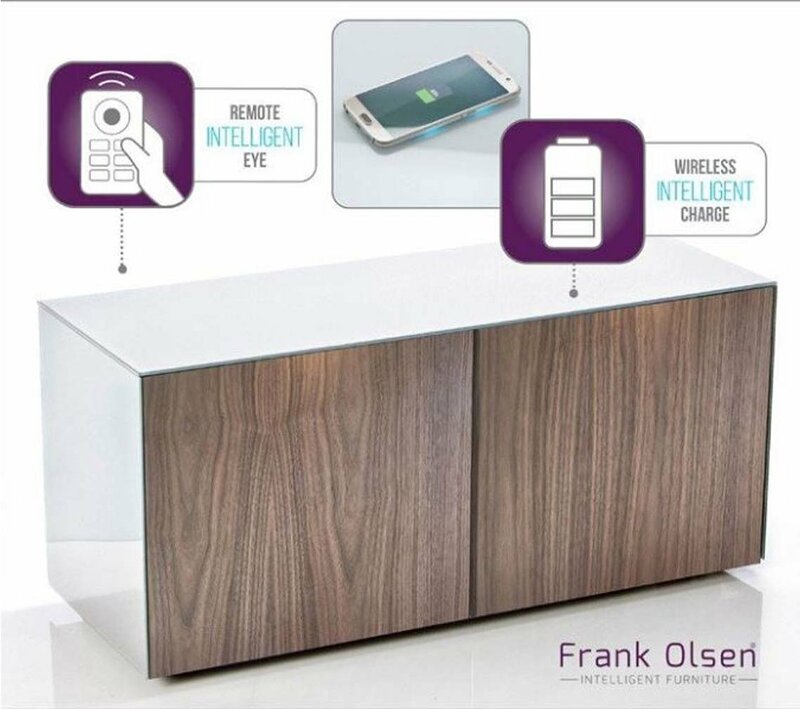 The Frank Olsen Intelligent eye remote control manager. The Intelligent eye system enables the use of up to 6 pieces of AV equipment to be operated as normal by the standard remote controls with the doors closed and all equipment out of sight. With this feature, the stunning design will not be ruined by seeing what is inside to watch the TV. 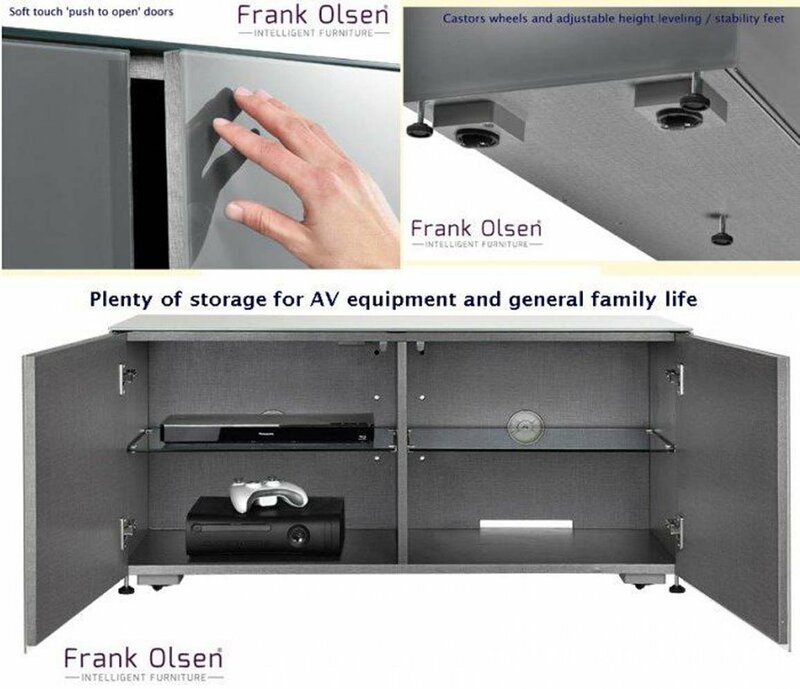 All designs are compatible with the matching Frank Olsen TV back support, perfect for use with a sound bar or if you simply prefer the tv to be mounted for better stability. This is highly recommended for a large screen when children are around because it keeps the screen stable. 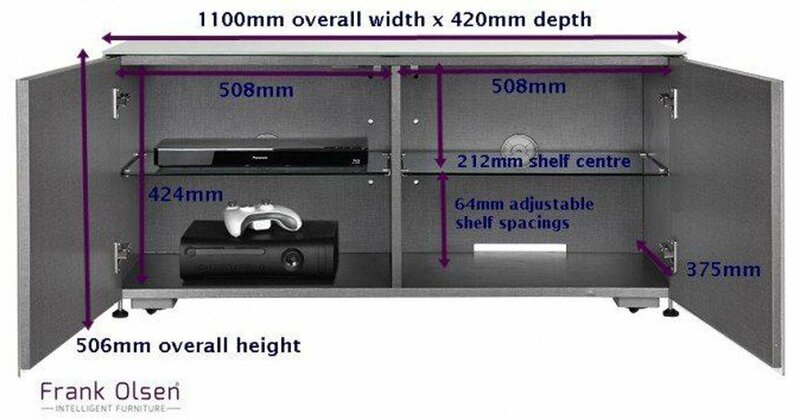 Please note: Screens larger than 46" will overhang the stand at the sides, this is perfectly safe & normal. All measurements supplied are for overall sizes. Please check your product or contact us if unsure. 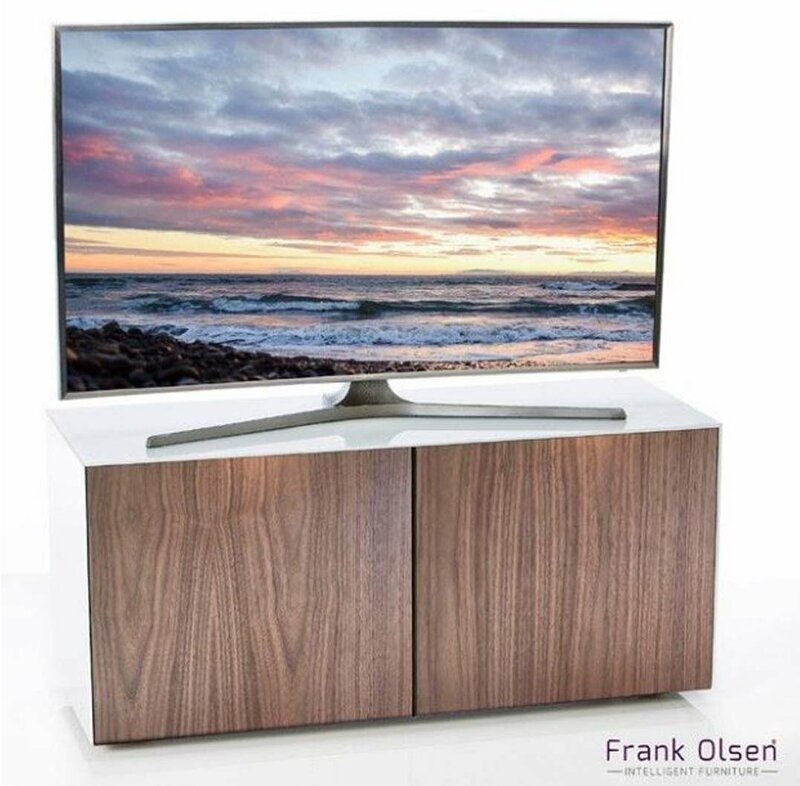 Frank Olsen White and Oak Veneer TV Cabinet For TVs Up To 55"